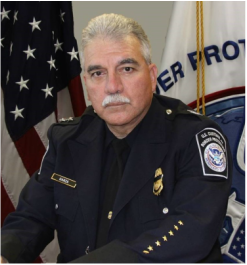 A Consultant at Command Group, Eugenio Garza Jr. is an expert in border management and homeland security with over 42 years of federal service. Most recently, he served as the Director of Field Operations at the Laredo (Texas) Field Office for U.S. Customs and Border Protection (CBP), the largest federal law enforcement organization in the United States. He also previously held positions as CBP’s Port Director at the Port of Laredo, Texas, and served as Director for the National Canine Program’s Anti-Smuggling Division.